Despite having a crazy-busy week this week, I was able to slip out for a little while and poke around a few thrift stores. 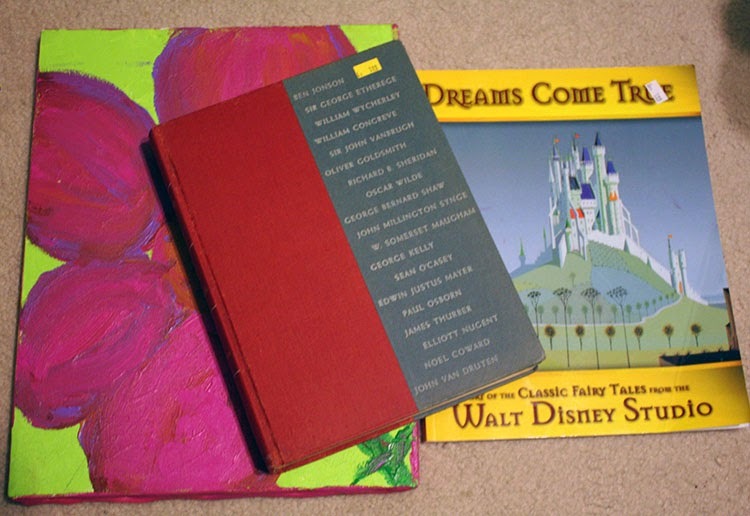 I made scores at two of the thrift shops and wanted to share my haul with you. At the first stop, I found these baggies of crafty miscellanea (and a deck of cards). The second haul wasn't as big, but still yielded a few fun items. When I got home from my thrifty excursion, I really wanted to just tear into those baggies, but I had to make dinner first, sigh. So that I could thoroughly share the experience with you, I made a video of the reveal. If you'd rather just watch it on YouTube, you can find my Crafty Thrift Store Haul at this link. If you don't want to bother with the video at all, here's a peek at what was in each of the baggies. 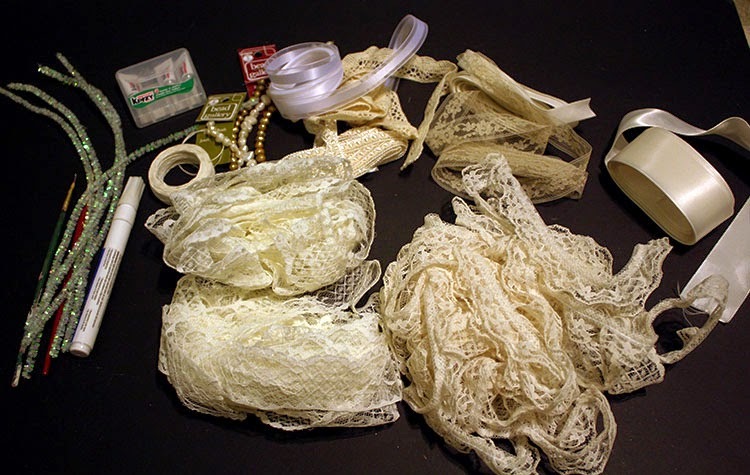 The general craft baggie had beads, pipe cleaners, a paint pen, super glue, and lots of lace/ribbon. 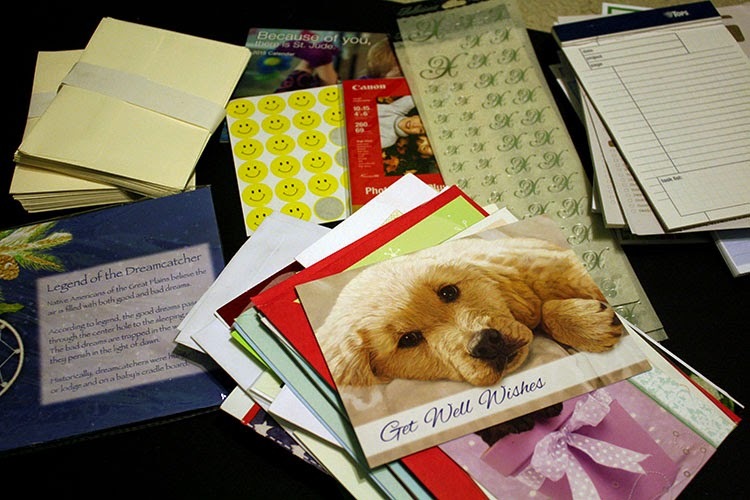 The papercraft baggie held greeting cards, notepads, a calendar, stickers, and some odd ornaments. 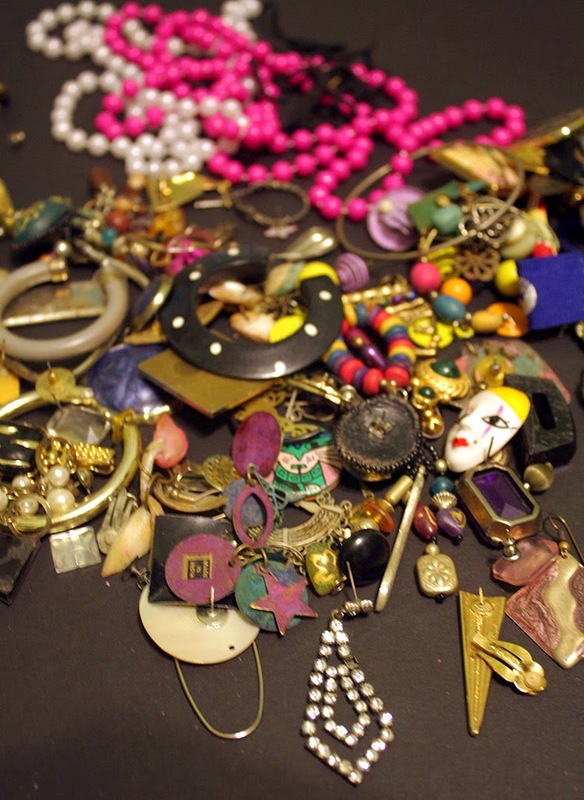 The jewelry baggie was stuffed with broken and single earrings, bangles, and junk jewelry. Baggies like the ones I found above are by far my favorite things to look for at thrift stores. I think it's the possibilities that they hold that get me so excited. What's your favorite thing to be on the lookout for when you hit the thrift and antique stores? Most of the time, I don't even know what I'm looking for, Hope! I know it when it starts calling my name and saying, "Take me home..." Looks like you found some fun stuff! It would have called my name, too. I know exactly what you mean by wanting to "tear into" your finds. Household chores are constantly getting in my way, too! Kim, It really was killing me not to get to those goodies. The video was a little rushed because of it too. Oh those chores. . . boo! Wish I could find a thrift shop around here that bags up little crafty stuff like that. Those cards would be great. My mom is 98 and likes to get mail so I look for cards like that with pictures of animals so the kids can write on them and I can jot a note. She gets tickled to pieces to get one. Great finds! What a great haul! Cannot wait to see what you create from your thrifty finds. I tend to focus on the dishes and glass ware for some of my projects. I can see now that I need to think about widening my search radius. Lynda, I like to look at the dishes too but always just skim over them. Heck, I look at just about everything at the thrift stores. Don't want to miss anything good. Best of luck on your next venture out! CCHC, Those are my favorites too. 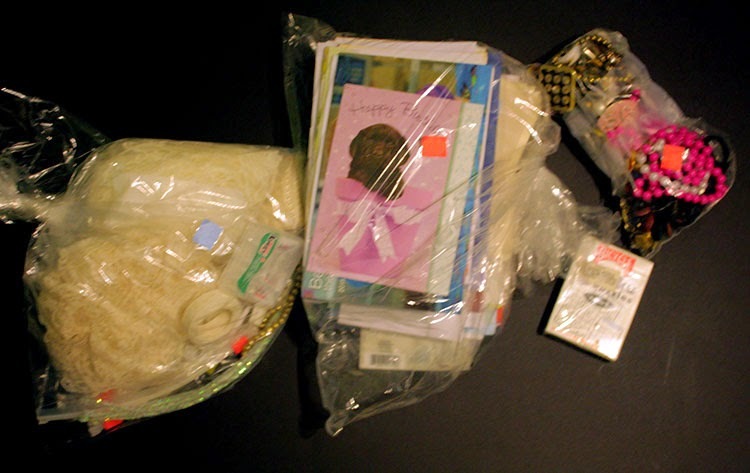 Bags of kids books. . .hmmmmm I could see altered art books done with those. Best of luck on your finds!